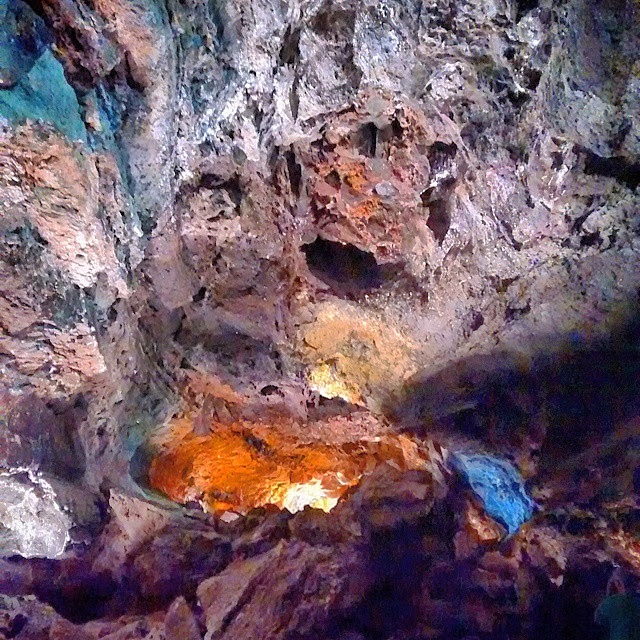 In my opinion the most awesome place to visit in Lanzarote is La Cueva de los Verdes (apart from the Timanfaya National Park, of course). What is it exactly? You might think you have a clue from the name, however this place is not your average cave system. 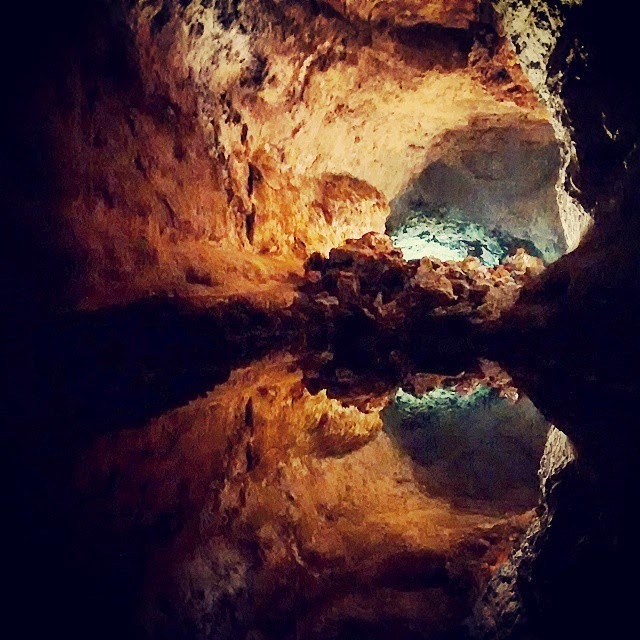 This is a totally, utterly awesome lava tube! Just imagine the spectacular power of the Earth when the Monte Corona volcano erupted 3000 years ago! 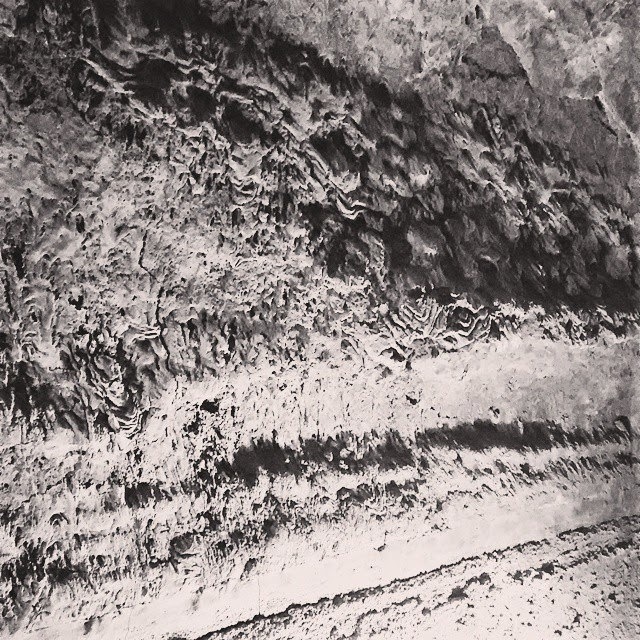 All that lava that it spewed out of its depth started to make its way towards the sea. As it came into contact with the air it solidified making a hardened outer layer, while inside it was still flowing in liquid form. 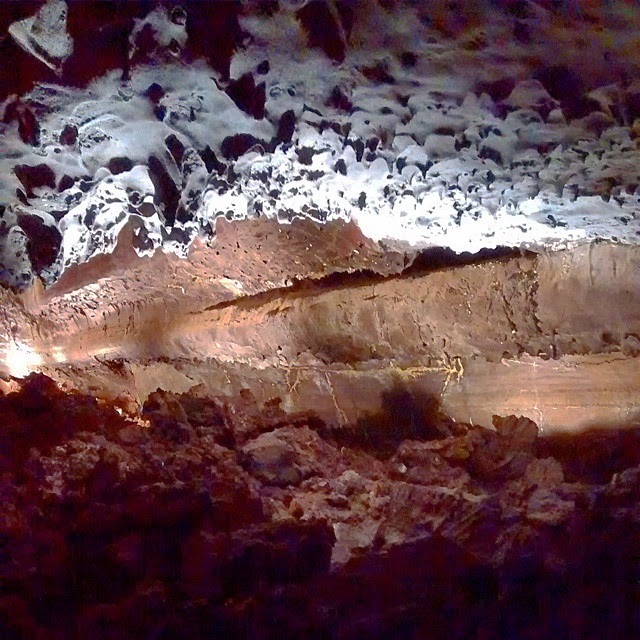 When the flow of the lava slowly started to ebb the level in the tube got lower and lower, finally stopping completely leaving behind a 6km long channel. 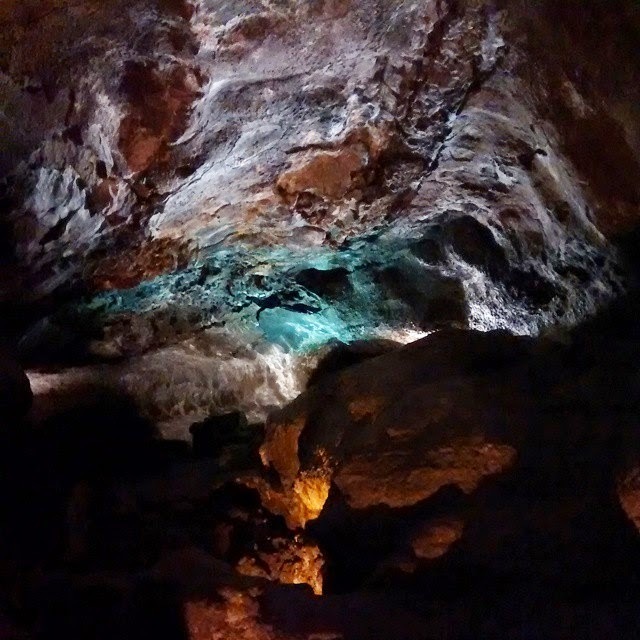 This tube is littered with huge blocks of rocks that were carried along by the current, huge drops of lava and many adjacent, sometimes superimposed caves and galleries. Fortunately the Cabildo de Lanzarote recognised the value of this place and made 1 km accessible for the public implementing the smallest amount of renovation possible. Thanks to this the only works carried out were the building of the access area and the laying of the walkway, leaving everything else intact. You can observe on the walls the level of the gradually decreasing lava flow and drops of lava that got solidified in the process of dripping. 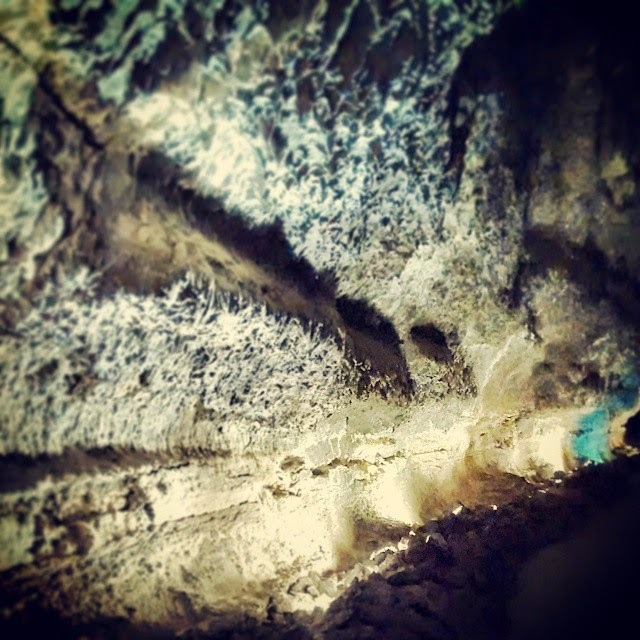 Two local artists were asked to help building the cave’s sound - and lightning system. They both did an amazing job subtly highlighting the most interesting areas but still being respectful of the surroundings making the interventions blend in perfectly. 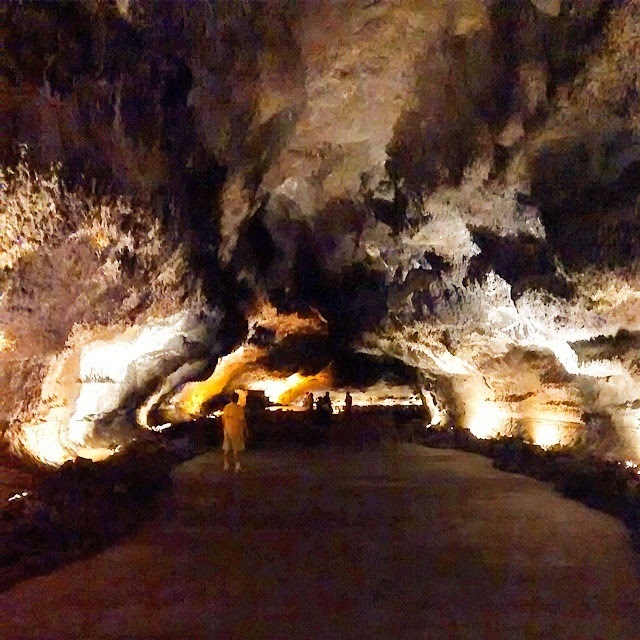 La Cueva de los Verdes is open daily from 10am to 6pm. Try to get there early to avoid the crowd. 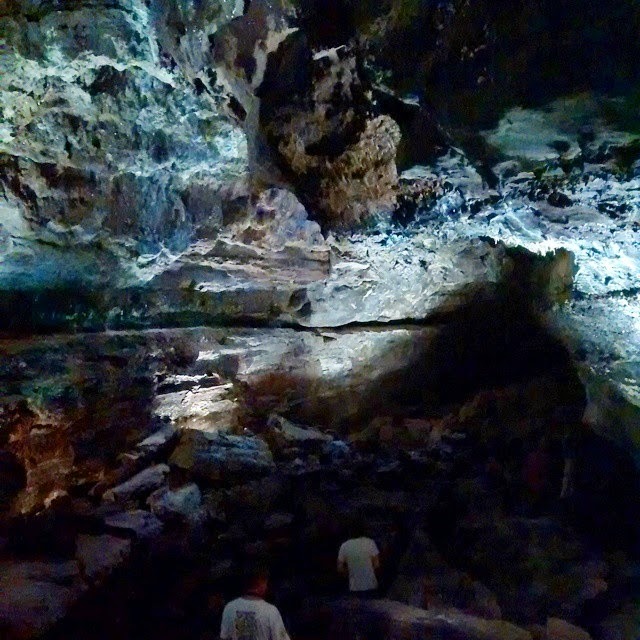 The tour lasts about an hour and is given in Spanish and English and provides interesting and informative information about the lava tube. There are plenty of parking spaces available. You can find it on the road LZ-204 but there are plenty of signs to guide you to it.